Established in 1997 and still run as a family business, Living Floors is a completely independent wood flooring & Interiors specialist. We take great pride in providing you with friendly, helpful and professional advice when it comes to choosing your new hardwood or laminate floor. We personally select the best ranges & have a huge stock not only of flooring but of all of the other items that you will need to install & maintain your floor. We deal with many of the top manufacturers and always have great stock in store, ready to take away should you wish! 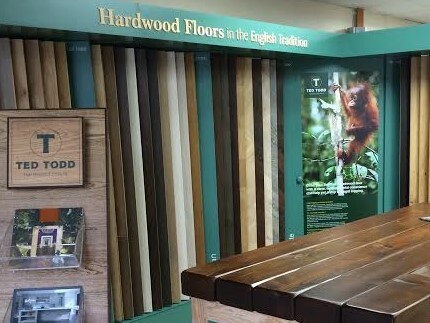 Both of our showrooms have full Ted Todd Showroom where you can view the range of beautiful Euoropean harwdwood floors. We have worked closedly with Ted Todd for over 17 years, you can find more information on these products at www.tedtodd.co.uk. We have our own employed fitters and we are pleased to offer a fully insured, 'one stop' service from measuring & estimating through to fitting. Why not check these sites out to see why we are now Living Floors & More . . .